So the afternoon before Thanksgiving, my Verizon FIOS went down and wasn’t coming back so quickly. That means the Internet, TV, and my phone went down when the main unit showed fail. I called FIOS tech support and they said that they couldn’t communicate with the unit and I needed to remove it from the outlet and then reset. It still wasn’t working and they told me that they would have to send a technician out. The problem is that thanks to the holiday, the technician wouldn’t be coming until Saturday. That meant no TV, Internet, and phone for Thanksgiving and Black Friday. Despite our pleas for earlier help, Verizon had no help for us even when we threatened to cancel the service. For 13 years, we used Optimum as our cable provider for phone, Internet, and TV. While they were more money, I was happy with the service and especially the complimentary WIFi in thousands and thousands of locations around the area. 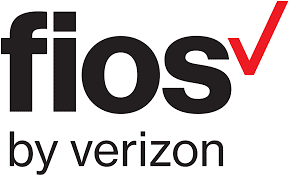 My wife for a few years was badgering me about FIOS and I succumbed to that in February. Now I was faulting myself for making the switch. To add insult to injury, the technician came that Saturday and fixed the problem within two minutes, apparently, a wire was sticking out of the unit. The diagnostics help by FIOS on the phone never mentioned anything about checking the wires and by the naked eye, everything looked fine. Maybe if the tech on the phone asked me to check the wires, maybe I would have discovered the loose one on the bottom of the unit. So what happened? I ordered Optimum to come back where there will be $5 cheaper and will pay off my early termination fee from FIOS. I also ended my 20-year run using Verizon Wireless and got a free phone for my wife and I and saving $100 a month. Maybe I was unreasonable to demand such quick service, but dropping the ball with scheduling and not giving me the chance to fix the problem on my home without some guidance cheated me out of a holiday watching football and being stress-free. When providing a service to a client and they need help, provide the best help you can. If you can’t accomplish everything they need, at least be apologetic and sympathetic. Otherwise, you can lose a long time client.